Reveal up to 4 Thai Ladyboys with the new EK Firing Box! A new basic firing box has been added to the EK accessory line-up. 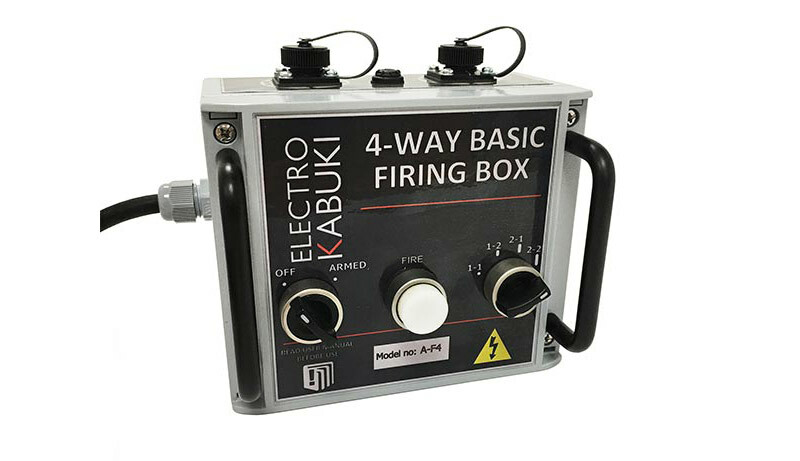 The 4-way box is only termed ‘basic’ because it deploys the straightforward push-button firing mechanism of the standard Basic Firing Box – but this new model offers the ability to fire up to four strings of EK modules, one string at a time, so there’s nothing ‘basic’ about that. With simplicity in mind, the new firing box features a rotary switch to select each of the circuits.